You might be thinking that a healthy diet must be joyless and boring. Not when Tess Challis is in the kitchen! These recipes are scrumptious and satisfying, and as you will see by the accompanying nutrition data, wholesome and nutritious too. Plus, theyâre inexpensive and a snap to prepare. If you want to reduce your risk of cancer, heart disease, and diabetes, with a memory that is as sharp as a tack, the power is in your refrigerator and on the cupboard shelf. 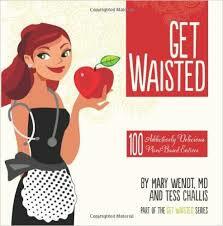 Get Waisted will help you get that power on your plate and in your family’s body, where the detoxifying potential of these foods will have you healthier in a jiffy.